As plans for the upcoming Native American and Indigenous Studies Research Center are under way, the first three faculty members selected to work on the research center are considering ways they can increase inclusion of the Native community. 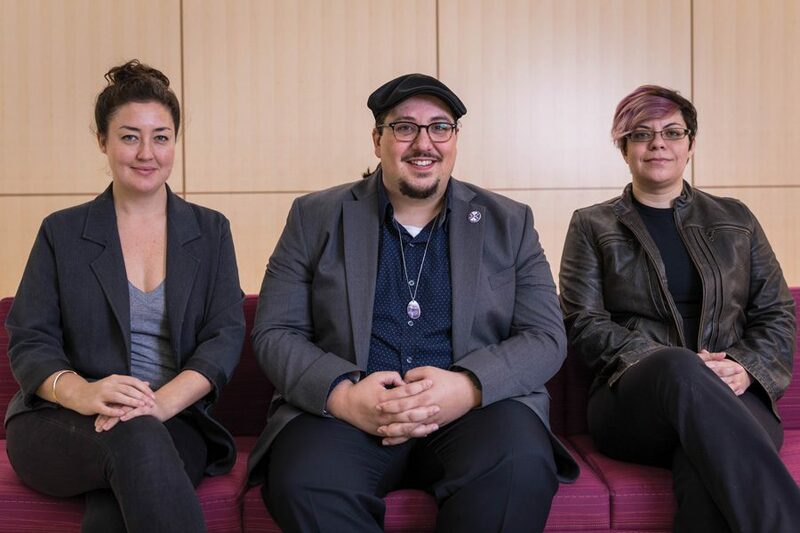 Sociology Prof. Beth Redbird, history Prof. Doug Kiel and postdoctoral fellow Hiʻilei Julia Kawehipuaakahaopulani Hobart, joined Northwestern’s faculty last year under the Indigenous Studies Research Initiative. The three have been selected as the first faculty members to work on the research center. Details for the launch of the center and its programming are still in the works, Redbird said. Associate dean for academic initiatives Ann Bradlow said the establishment of the center is a “great interest of the University.” The initiative goes back several years to when University Provost Dan Linzer commissioned a report about the involvement of John Evans in the Sand Creek Massacre, she said. Redbird, who researches indigenous poverty and indigenous economic development, said the goal of the center is to increase participation in Native issues on campus and help the “already vibrant” undergraduate Native population grow. Redbird said NU’s Native graduate students is currently small, but hopes the center will help it expand. She also said the center could allow the Northwestern community to interact with Chicago’s well-developed and active Native population. Though it is still in its early planning stages, Redbird said she hopes one day students at the center will be able to do public policy analysis on reservations where tribes operate like a city governments. For example, students could examine affordable housing programs initiated by Native groups and these groups would be able to use students’ research to evaluate the effectiveness of their programs, she said. In addition to the establishment of the Native American and Indigenous Studies Research Center, increased efforts will be made so NU is a more inclusive place for the Native community, said Ninah Divine, coordinator of the Native American and Indigenous Peoples Steering Group. Future initiatives include hiring more Native staff to support Native students, providing scholarships for Native students and making changes to University tours and Wildcat Welcome, Divine said. Redbird said actions to increase inclusivity and creating the center are important because it will provide a community for Native students on campus. Divine said the center is important because it engages directly with the Native community and allows NU students, faculty and staff to give back the resources and privilege they have as members of the University’s community.